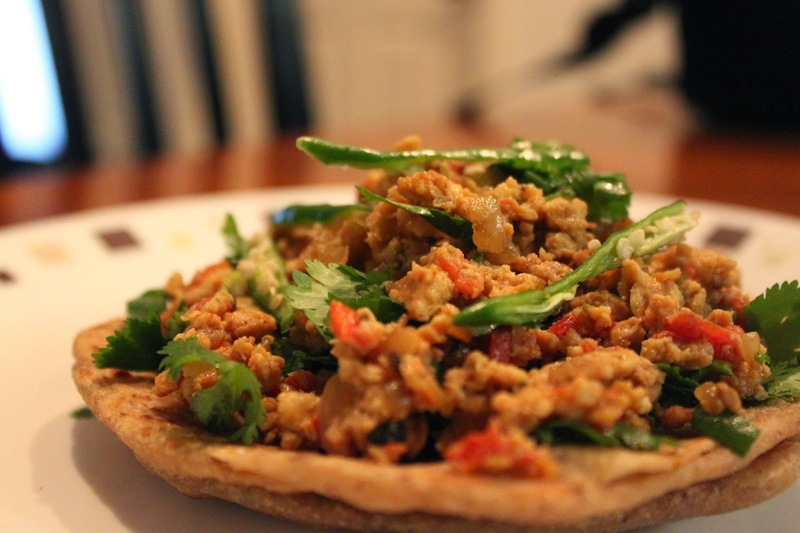 I trace back my memories of egg bhurji to a small guest house in Chandigarh. It was served on a super hot, big-fat aaloo ka parathas, with a huge dollop of butter on the top. My parents and I used to eagerly wait for the breakfast to arrive and when it did, we could not wait to dig in, the first bite would almost always burn my tongue. And yes, at that time I could afford to eat all that fat without any guilt because I was a hyper active 5 year old. This combination tastes best on chilly winter evenings. Since the winter has arrived full throttle in New York, I wanted to spend more time cuddled up with my daughter reading stories to her, rather than cooking, an entire evening. 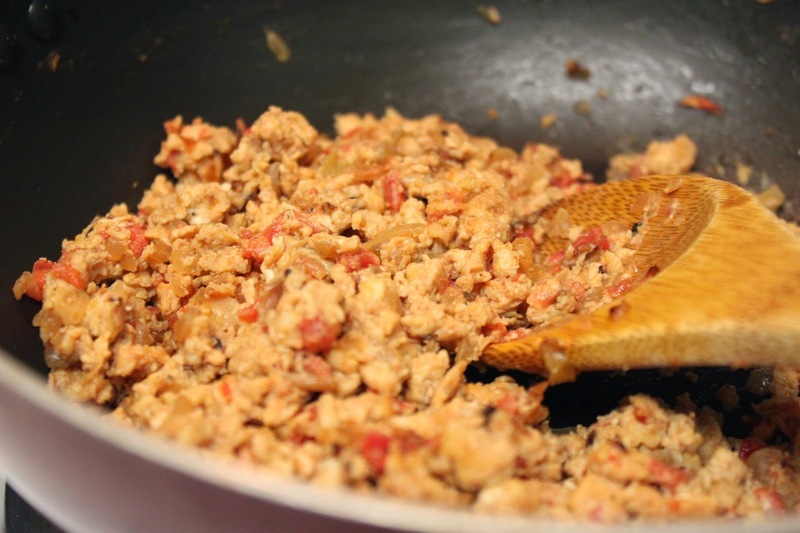 When I think of a quick fix dinner, the first thing that comes to my mind is either an omelette or egg bhurji. 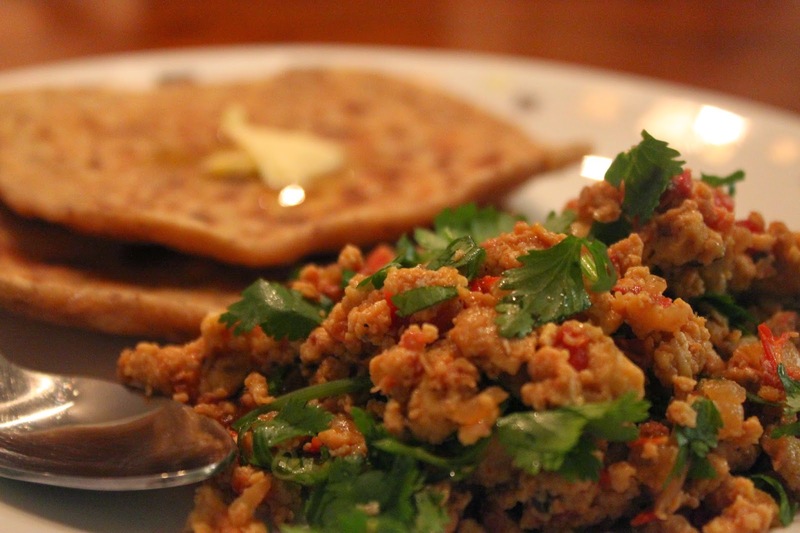 Last evening we were in mood for something spicy, so we had egg bhurji with hot aaloo parathas and needless to say we loved it. Here’s the recipe for you to try. Enjoy it along with parathas or serve it on the top of the parathas, garnish with green chillies and add a big dollop of butter….ummmmm, my mouth’s watering!! You could try more variations, by adding ginger and garlic or capsicum and whatever catches your fancy, that’s the best thing about egg bhurji, it’s versatile and can be customized as per your taste.If you do not have enough time, eat it with bread, it’ll taste as good. You have some leftover from last night, no problem, use it as a filling for a parathas or a sandwich. Tell me how do you like yours? Would love to hear your thoughts in the comments box below, share the links to your favorite recipe.